Evolution, Regulation and Disruption of Homeostasis and Its Role in Carcinogenesis. Cancer Cell: Linking Oncogenic Signaling to Molecular Structure. Has Cancer Sculpted the Genome? Modeling Linkage and the Role of Tetraploidy in Neoplastic Progression. Catastrophes and Complex Networks in Genomically Unstable Tumorigenesis. A Stochastic Multiscale Model Framework for Intestinal Stem Cell Homeostasis. Multiscale Modeling of Colonic Crypts and Early Colorectal Cancer. The Physical Microenvironment in Somatic Evolution of Cancer. Multiscale Modeling of Cell Motion in Three-Dimensional Environments. Simulating Cancer Growth with Agent-Based Models. Diffusional Instability as a Mechanism of Tumor Invasion. Continuum Models of Mesenchymal Cell Migration and Sprouting Angiogenesis. Do Tumor Invasion Strategies Follow Basic Physical Laws?. Multiscale Mathematical Modeling of Vascular Tumor Growth: An Exercise in Transatlantic Cooperation. 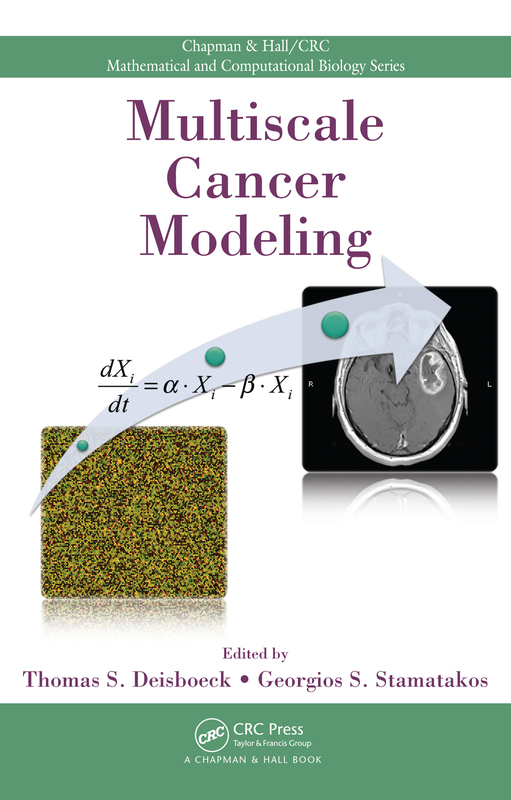 A Multiscale Simulation Framework for Modeling Solid Tumor Growth with an Explicit Vessel Network. Building Stochastic Models for Cancer Growth and Treatment. Bridging from Multiscale Modeling to Practical Clinical Applications in the Study of Human Gliomas. Personalization of Reaction-Diffusion Tumor Growth Models in MR Images: Application to Brain Gliomas Characterization and Radiotherapy Planning. In Silico Oncology Part I: Clinically Oriented Cancer Multilevel Modeling Based on Discrete Event Simulation. In Silico Oncology Part II: Clinical Requirements. Thomas S. Deisboeck, M.D., is an associate professor of radiology at Massachusetts General Hospital, where he directs the Complex Biosystems Modeling Laboratory. He is also an affiliated faculty member of the Harvard-MIT Health Sciences and Technology Division and a member of the Dana Farber/Harvard Cancer Center. Georgios S. Stamatakos, Ph.D., is a research professor of biological systems analysis and simulation in the Institute of Communication and Computer Systems as well as founder and leader of the In Silico Oncology Group, Laboratory of Microwaves and Fiber Optics at the National Technical University of Athens.